to Sustain My Reuse Center! Claimed by Antoinette Palmieri and 1 other. 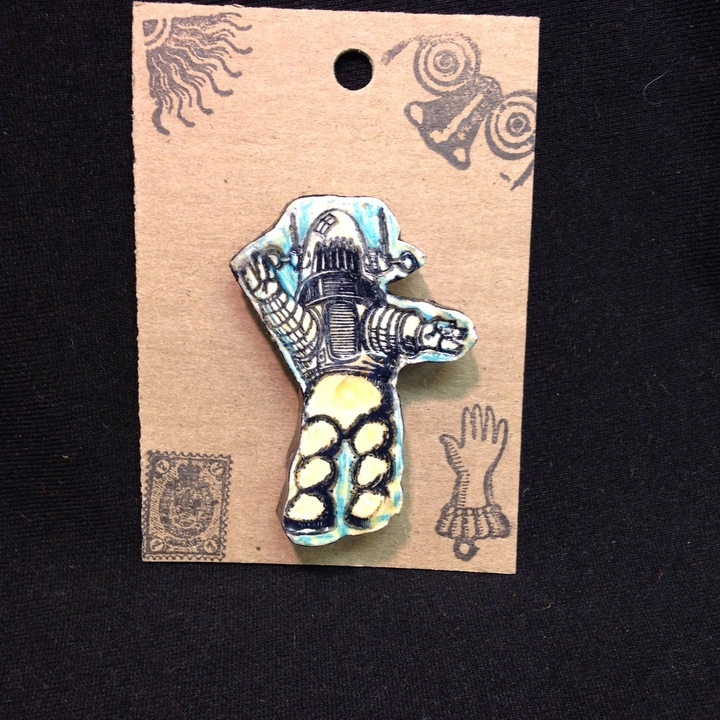 Choose from one of several amazing wood block prints by visionary artist Katy Dement. Her pieces are made in her Swissvale studio right here in Pittsburgh, PA.
You can pick up this perk at our shop or we can ship it to you! Just let us know if you'd like it shipped by emailing us at info@pccr.org. The shipping/handling cost is $10. Show how into reuse you are while clearing your sinuses! You can pick up this perk at our shop or we can ship it to you! 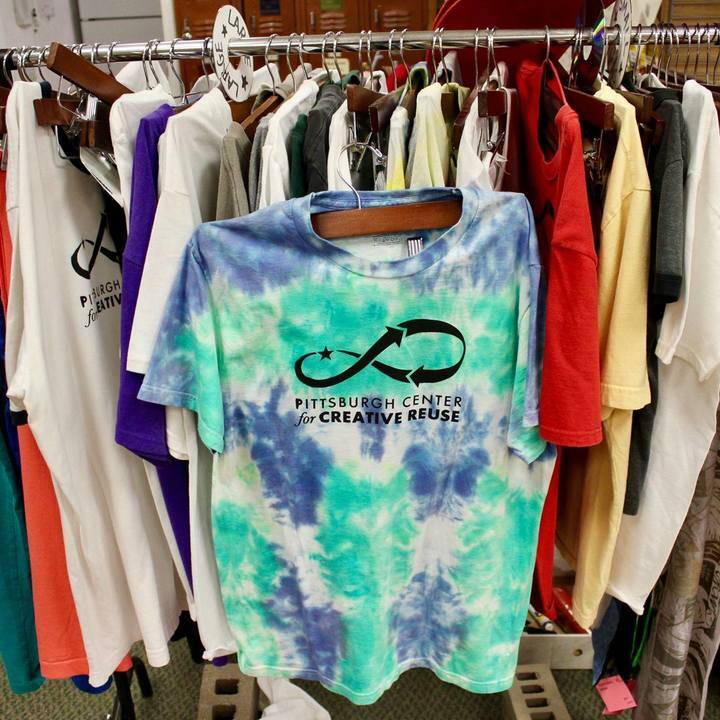 Just let us know if you'd like it shipped by emailing us at info@pccr.org. The shipping/handling cost is $5. Now you can wear our sweet logo all over town when you get one of these reclaimed t-shirts that have been lovingly screenprinted by our own Daniel Shapiro! Choosing this perk will get you a voucher good for one t-shirt in our shop - come in and choose which one you want! Sizes Small-Xtra Large. 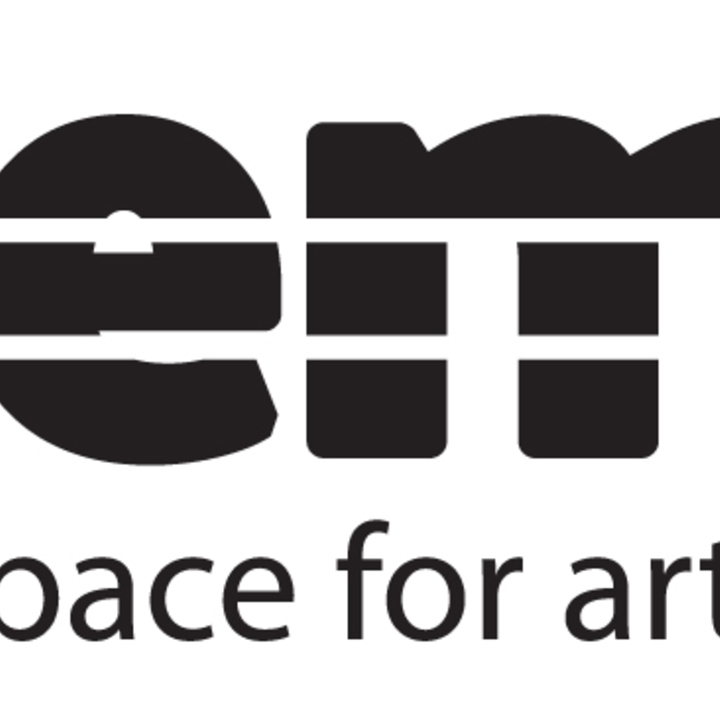 Katy Dement (aka The Paper Lady) uses all reclaimed materials for her artwork. 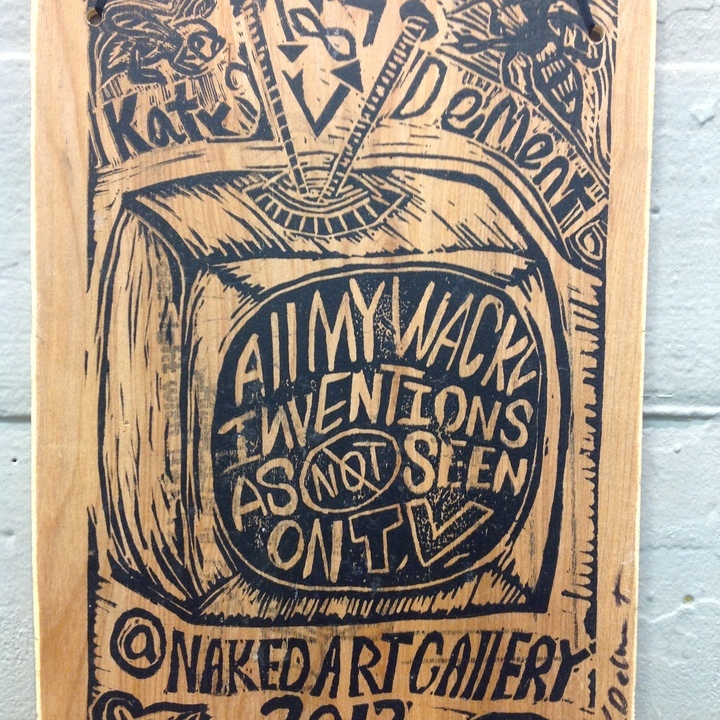 This grab bag of hand embellished prints of some of Katy's "wacky inventions" are completely fabricated at Katy’s Swissvale studio. Choose your favorite invention from a selection of four total prints. Katy Dement (aka The Paper Lady) uses all reclaimed materials for her artwork. These art fans are one of a kind, beautiful, and handcrafted right here in Pittsburgh, PA. Note: small holes throughout fans are intentional. 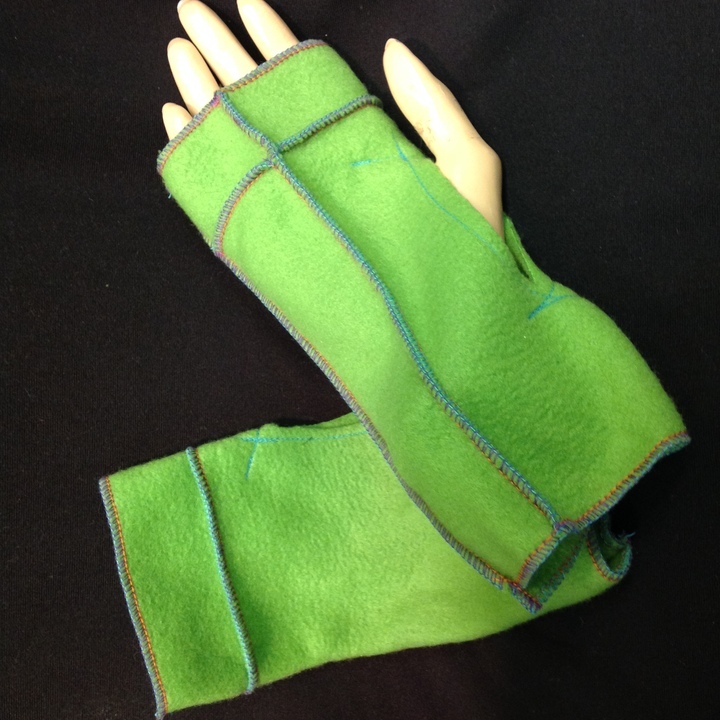 Cozy, cute, reclaimed fabric fleece mittens in various colors and sizes! A lovely gift for a cold palmed friend. Your dog will enjoy a great day at this independently owned center. The day will include 2 walks, one on one time, and group play. Open Monday through Friday from 6:30am to 6:45pm. 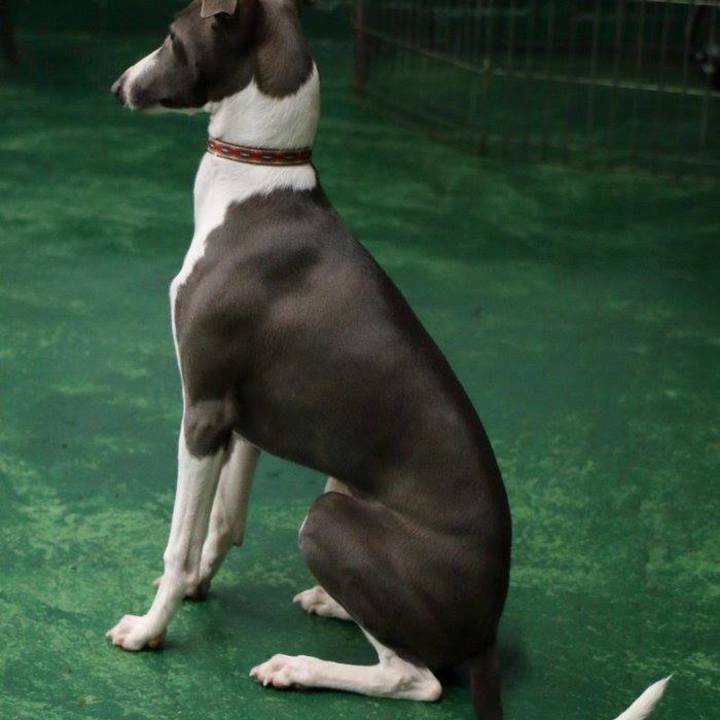 Dogs must be completely vaccinated and well socialized. Appointment is necessary. 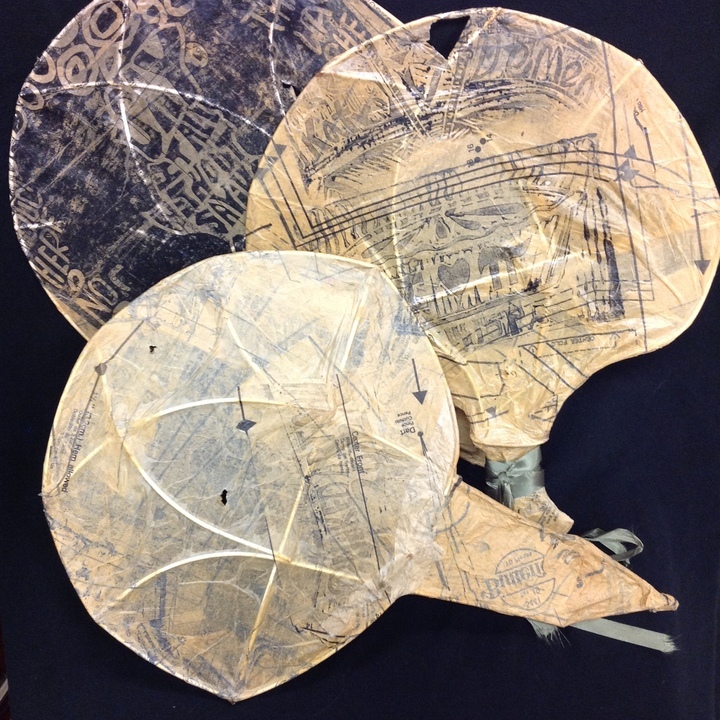 Katy Dement (aka The Paper Lady) uses all reclaimed materials for her artwork. This curious and magical ornament was handcrafted at Katy’s Swissvale studio. 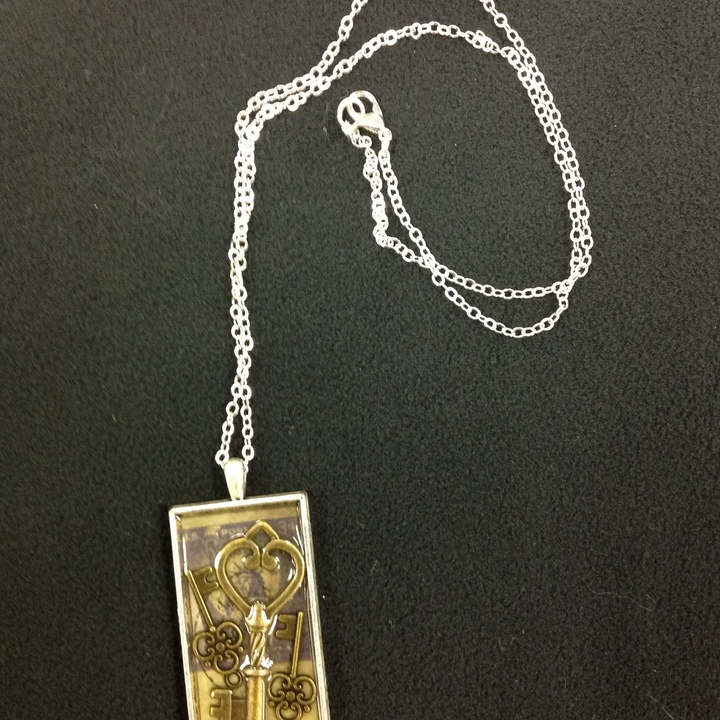 KLoRebel Art offers 100% hand drawn, handcrafted wearable art jewelry, custom illustration, home goods and accessories. 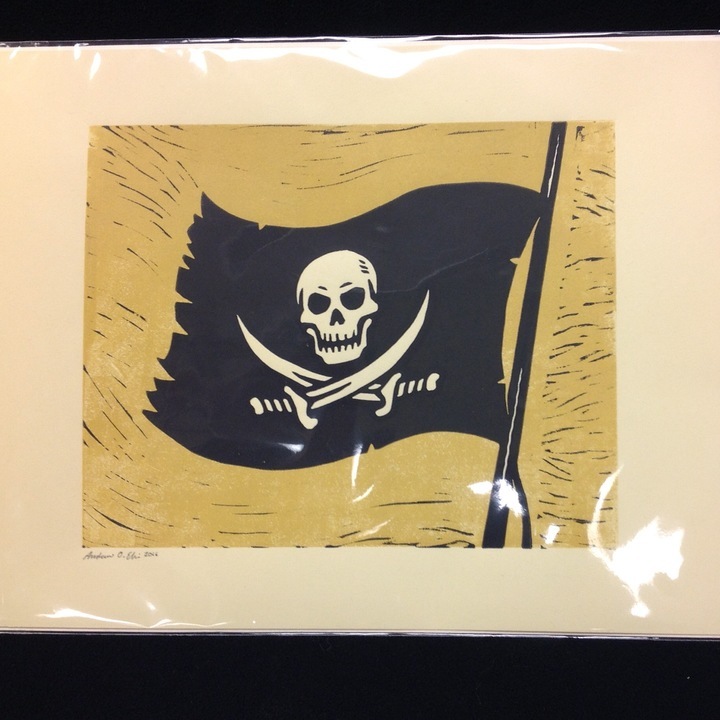 Kristen is a native Pittsburgh artist living and working in Lawrenceville. 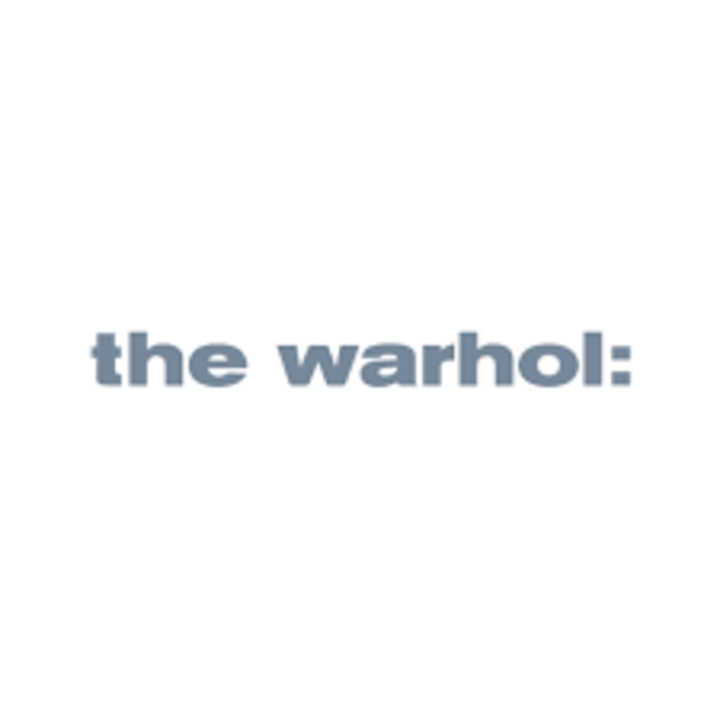 You and a friend can explore the world's largest collection of art by Andy Warhol. 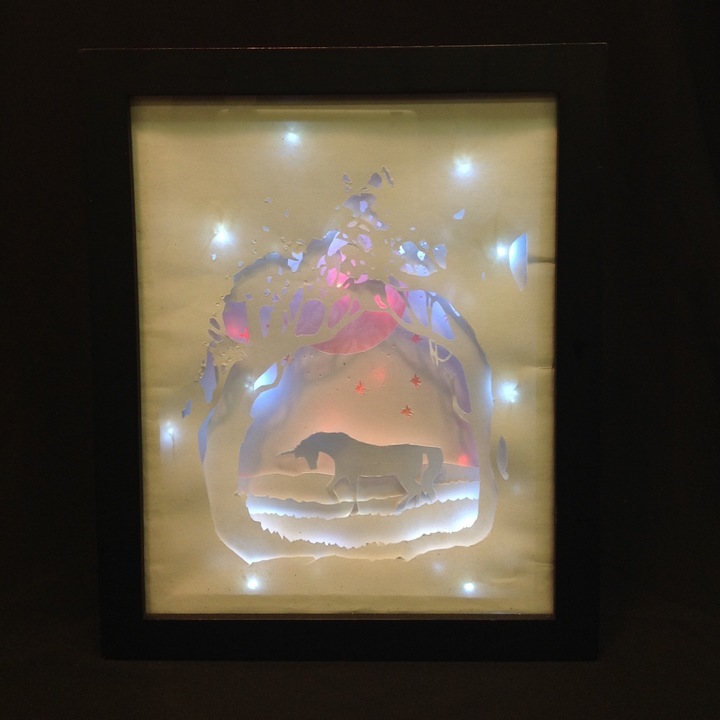 This papercut shadow and light box was made by local artist, Mary Anne Van Develde. It lights up, giving life to the little magical unicorn inside (just like the one inside all of us). 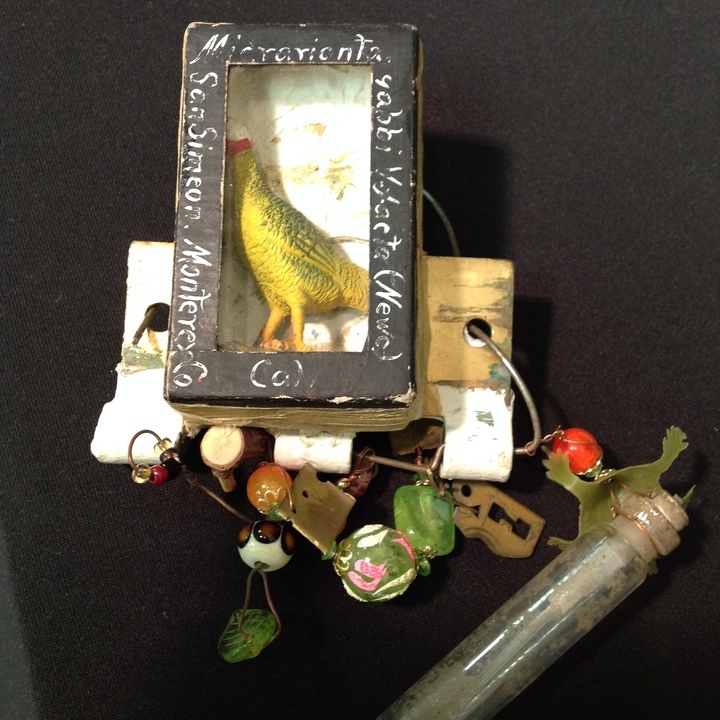 Mary Anne incorporates reuse into much of her work, resulting in much beauty! You can pick up this perk at our shop or we can ship it to you! Just let us know if you'd like it shipped by emailing us at info@pccr.org. The shipping/handling cost is $15. Nisha Blackwell, creator of Knotzland, made this piece using a vintage calendar kitchen towel that she got from Creative Reuse several years ago when she became a board member. 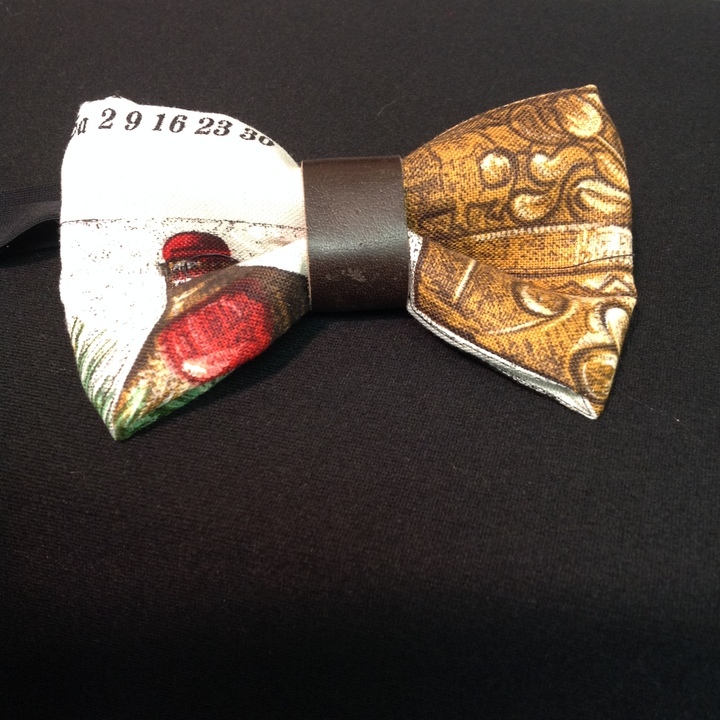 Nisha has fashioned an incredibly dear, one of a kind bowtie just for you. Made from glass beads, reclaimed plastic, and wire, this amazing necklace was created by The Beading Wolves - an Oneida family of artisans. 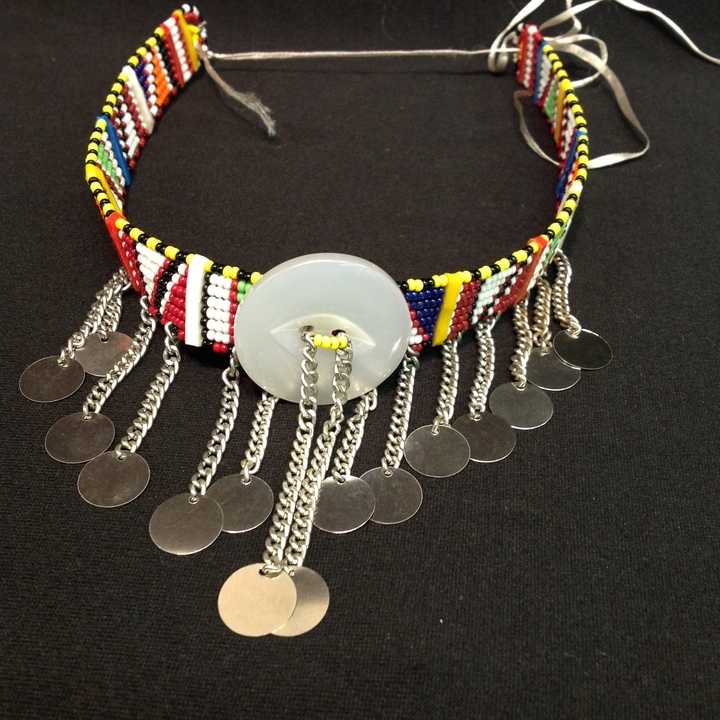 It is through Idia'Dega's work with the Maasai Women Artisans of Kenya and The Beading Wolves of Oneida that pieces like this stunning one are available in Pittsburgh. Extremely rare piece! 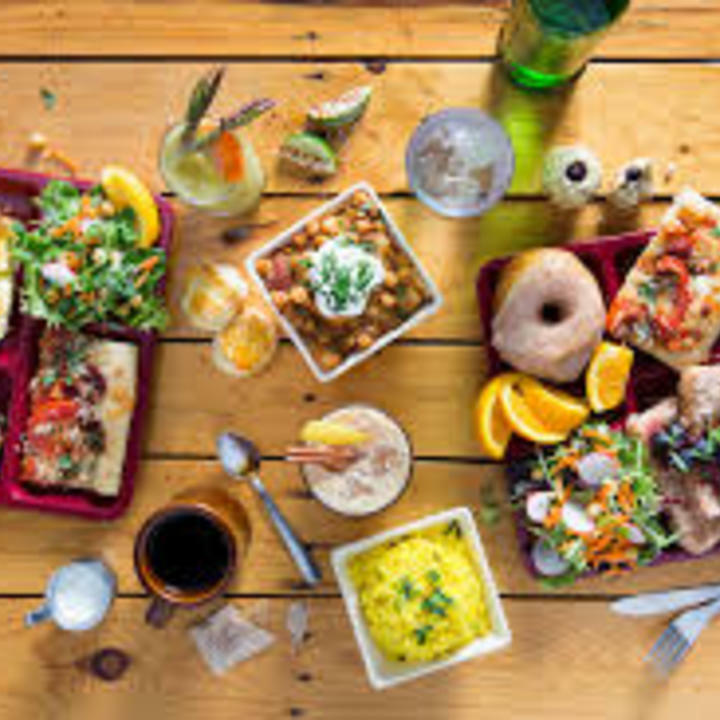 Treat yo'self and 11 special friends to a magnificent brunch buffet at Spirit Lodge in Lawrenceville on any Saturday or Sunday (seating starts at 11am). Their vegetarian friendly brunch buffet has something for everyone. Woah! Treat your kiddos to the party of the year at Assemble! An unforgettable learning/fun experience. 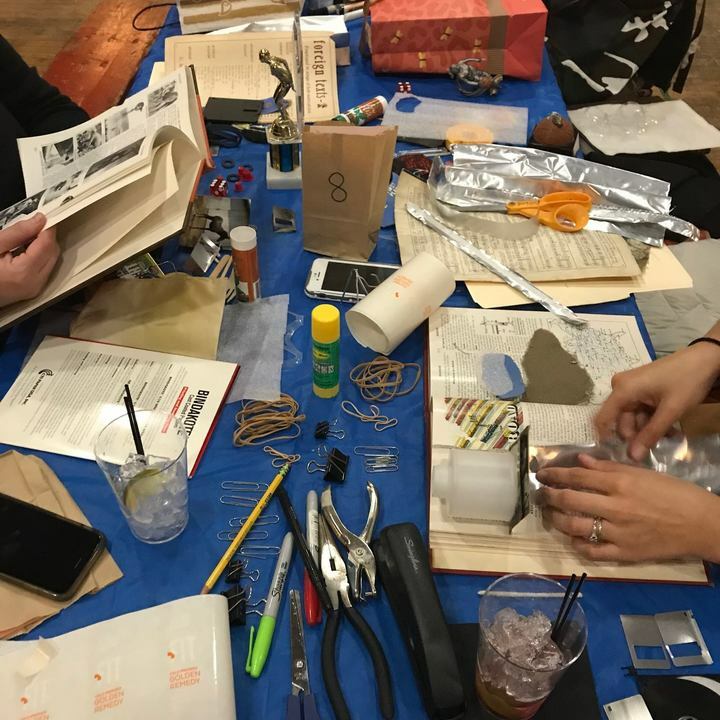 Get a custom 2 hour Creative Reuse birthday party at your place or ours for up to 20 people (kids or adults). Our Creative education team will bring you the crafty party you’ve been dreaming of! 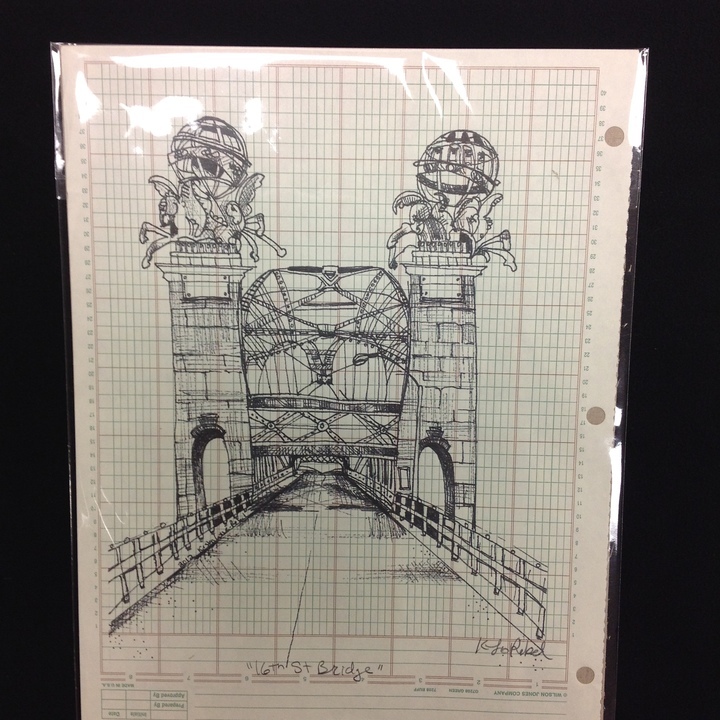 Katy Dement (aka The Paper Lady) uses all reclaimed materials for her artwork. Not only can you send a sweet message to a dear friend, but your friend can plant these cards after they’ve read them thoroughly. Embedded with seeds, you couldn’t find a “greener” item. 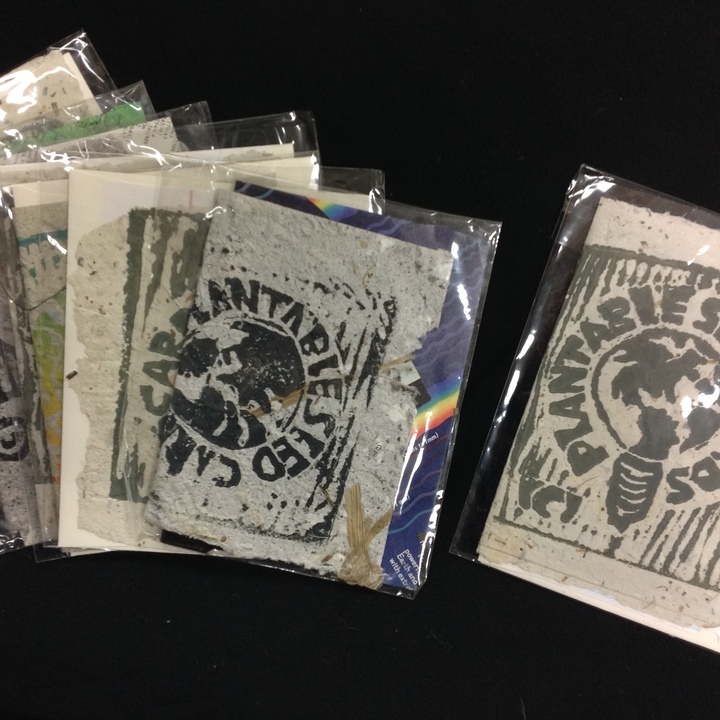 These cards are handcrafted at Katy’s Swissvale studio right here in Pittsburgh, PA.
Charmed by Nature is known for their one of a kind found object jewelry. The artist behind the work, Lynne Kropinak, is also responsible for the Craft-A-Tron craft vending machine seen all over Pittsburgh (and currently at Creative Reuse til Nov 30). 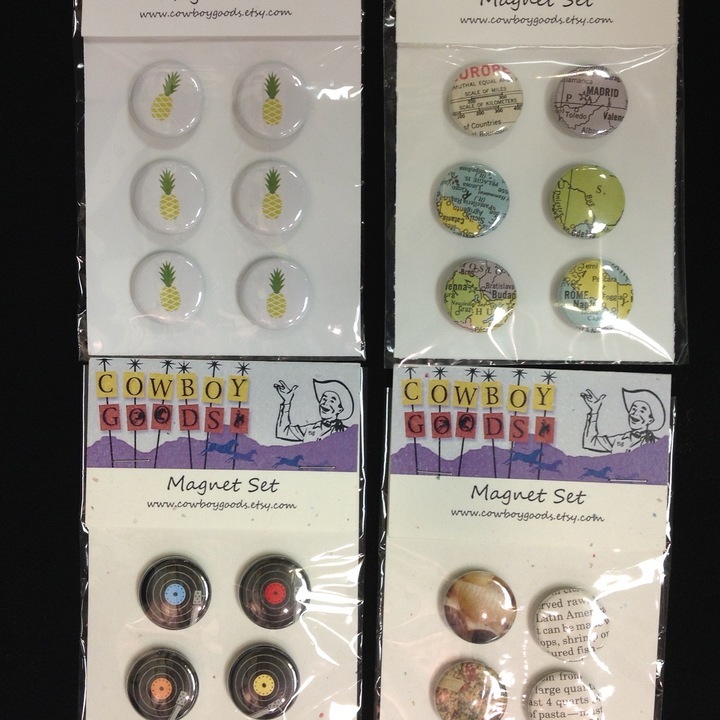 Choose a set of six from 4 different whimsical options. 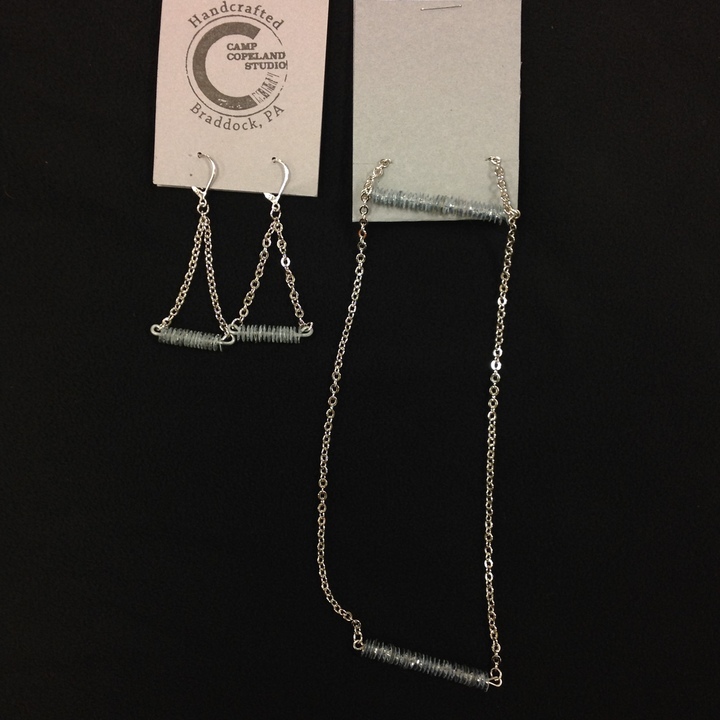 Cowboy Goods, operating out of Squirrel Hill, offers handmade items that will please everyone. 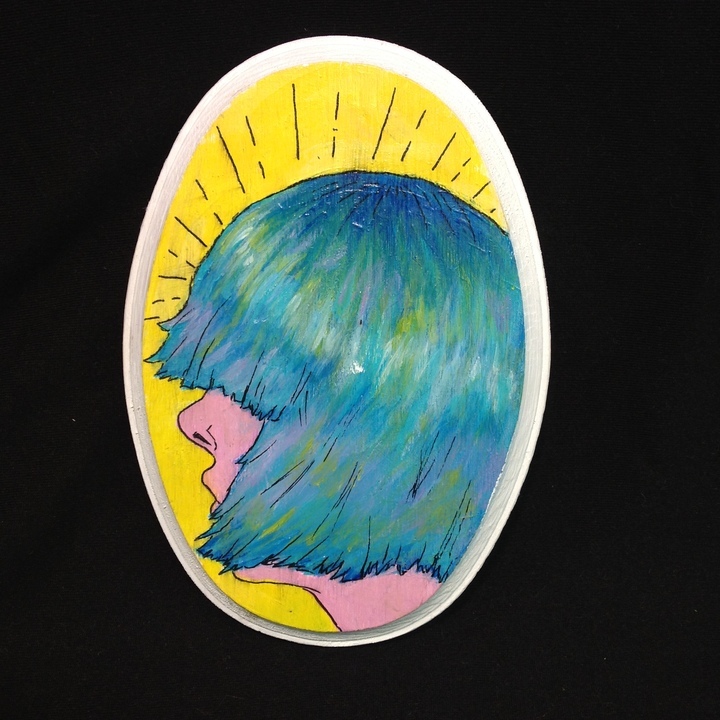 This small oval painting was done by local reuse artist and Creative Reuse staffer, Cammie Bif Brady! With bright acrylic colors, it will make a splash wherever it is hung. Pittsburgh Creative Arts Festival ticket! 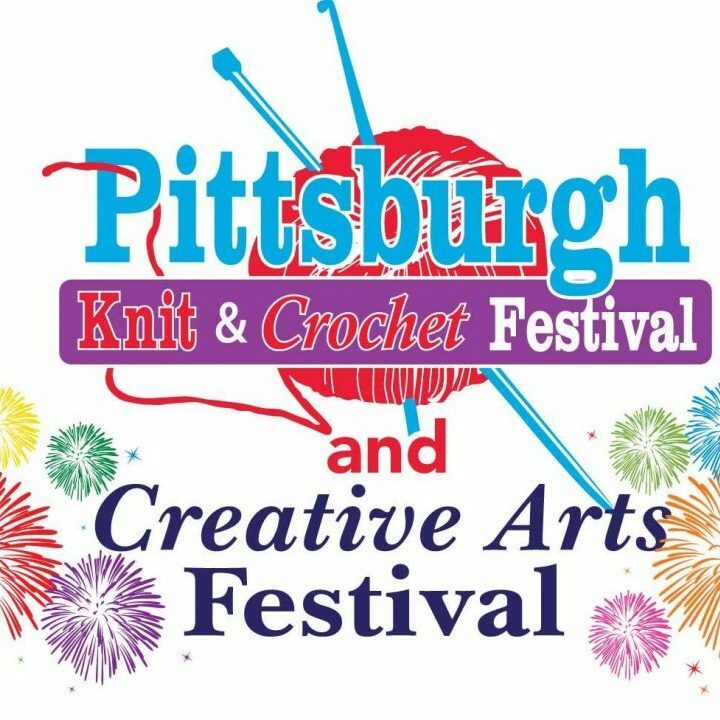 Get a 3 day pass for the Pittsburgh Knit, Crochet, Quilt, and Creative Arts Festival. Happening at the David Lawrence Convention Center April 6-8, this event promises to be inspiring! You can pick up this perk at our shop or we can ship it to you! 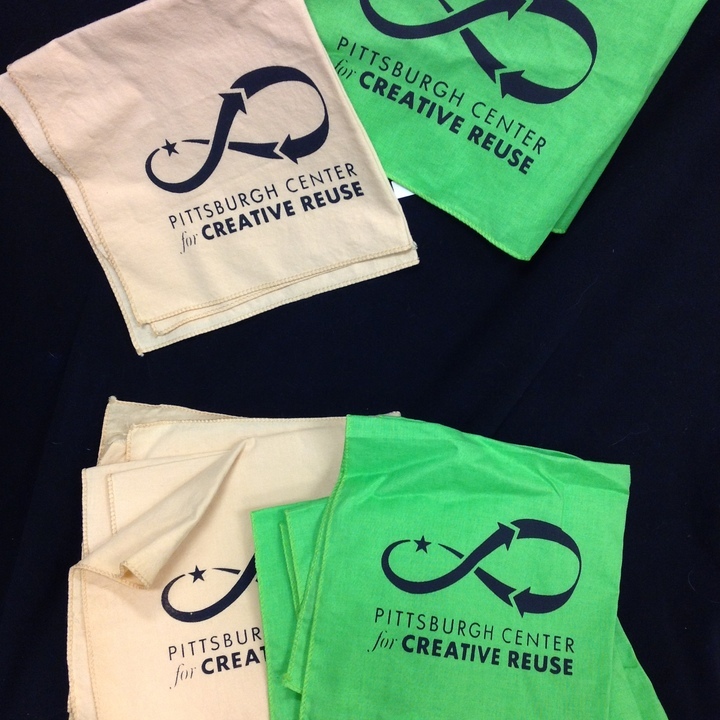 Just let us know if you'd like it shipped by emailing us at info@pccr.org. The shipping/handling cost is $3. 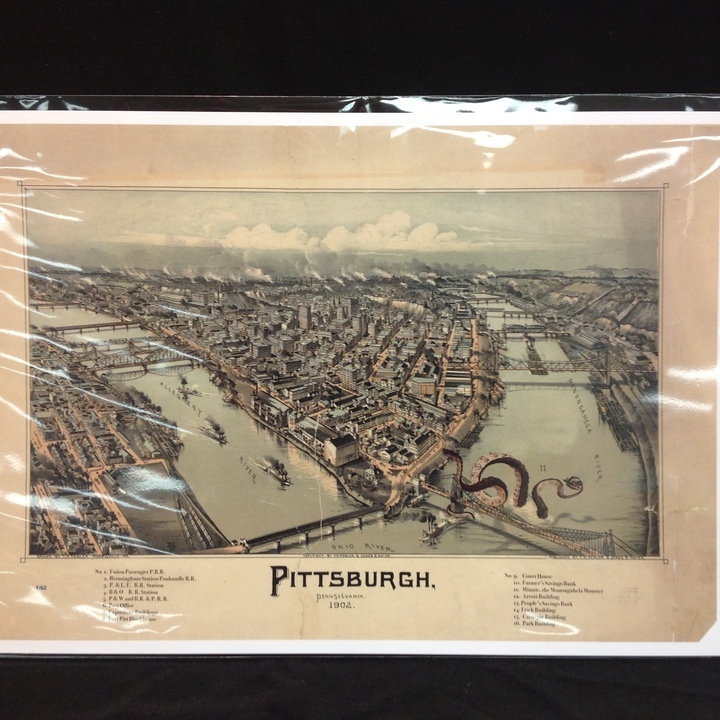 1902 print of Pittsburgh featuring Minnie, the Monongahela Monster nonchalantly checking out The Point and Downtown. 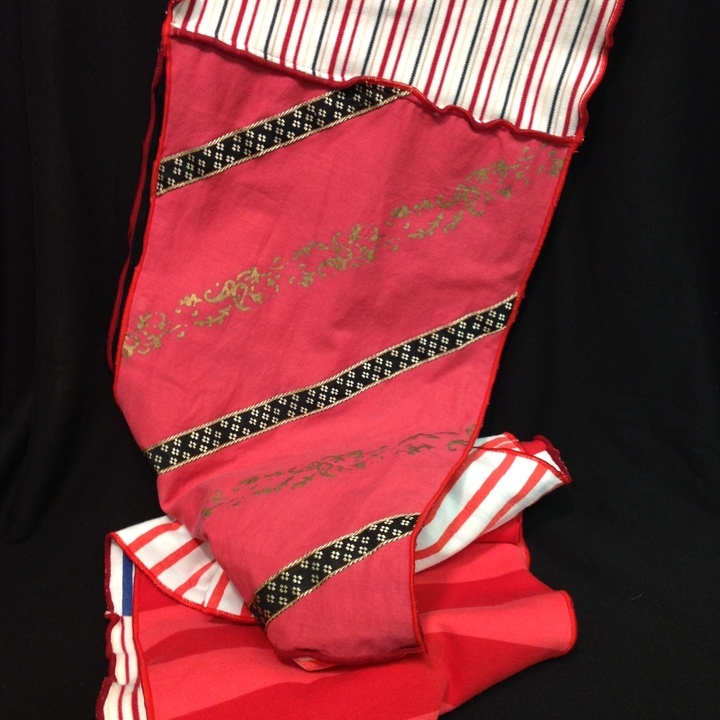 This striking red, blue, black, stripes, and block color scarf is handmade with love and all reclaimed materials by local fiber artist Suzi Fortunato. Pretty amazing handmade lino block print by our pal, Andyrama! Artwork measures 10" by 18", with a 14" x 11" overall size. Printed on ye olde French Paper Co card stock. You can pick up this perk at our shop or we can ship it to you! Just let us know if you'd like it shipped by emailing us at info@pccr.org. The shipping/handling cost is $8. Songbird Artistry is a mother/daughter/daughter team operating out of Lawrenceville. While they focus on jewelry, they also work in glass and fiber arts. This necklace is made from reclaimed materials. 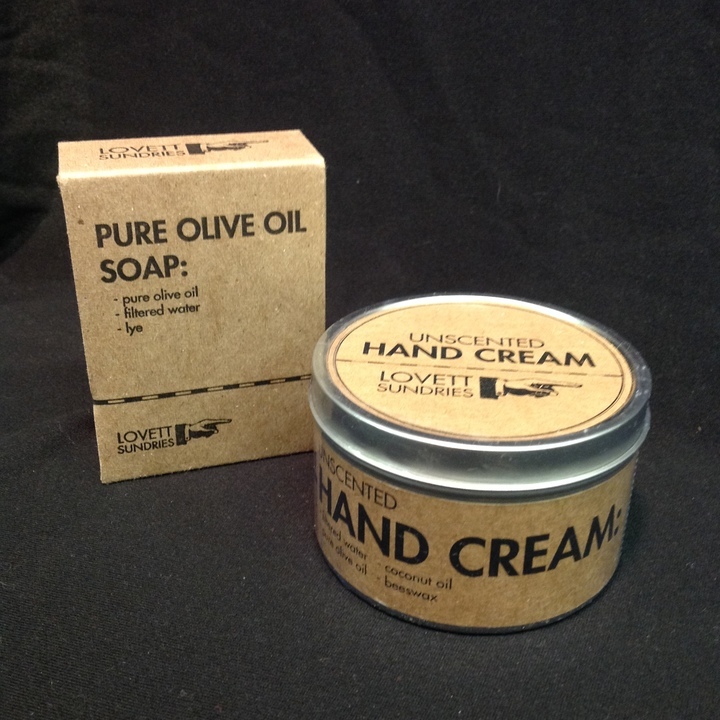 Delightful, all-natural Hand Cream + Olive Oil Soap, produced right here in Wilkinsburg, PA! 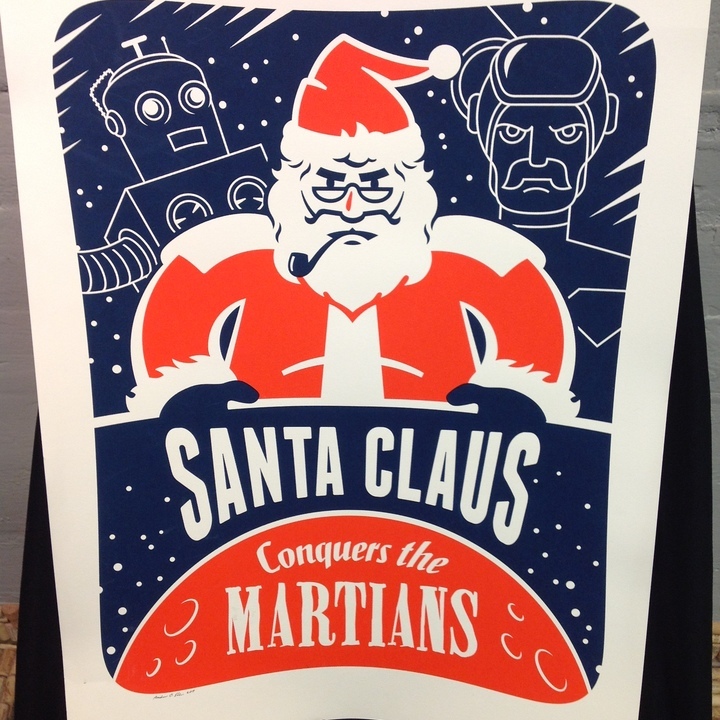 Adorable ferocious Santa print by esteemed local artist, Andrew O. Ellis. Instill a little heartfelt fear into this holiday season with this menacing Old Saint Nick. 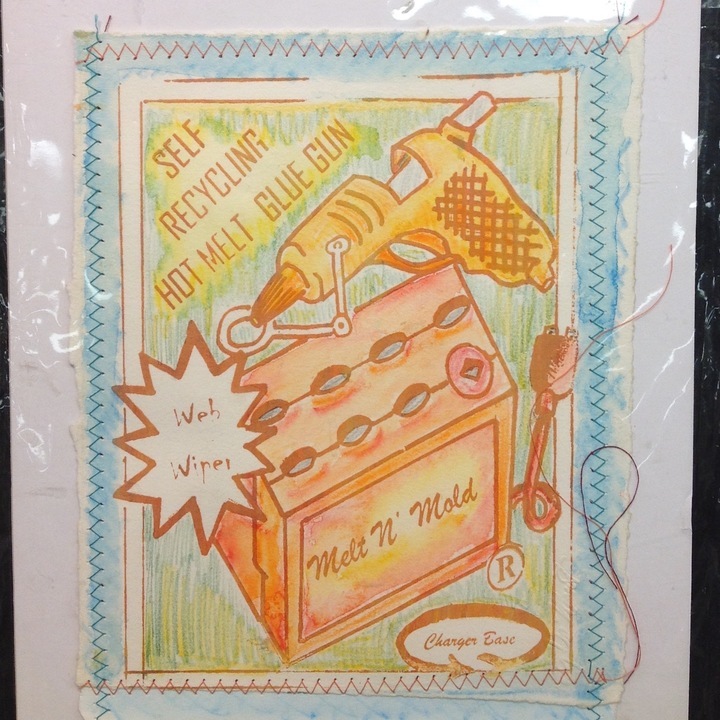 This painting was done by local reuse artist and Creative Reuse staffer, Cammie Bif Brady! 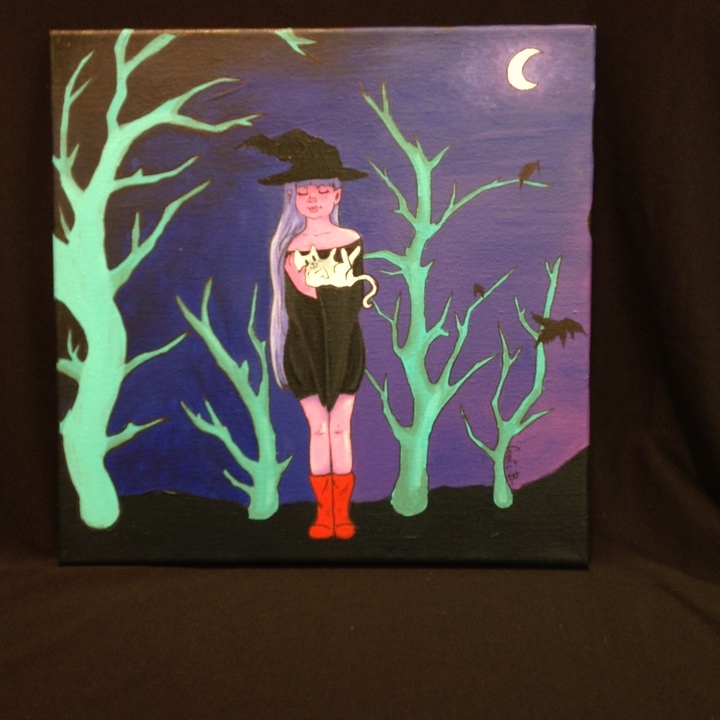 Featuring a witch and her cat in the woods, it has a calming vibe. 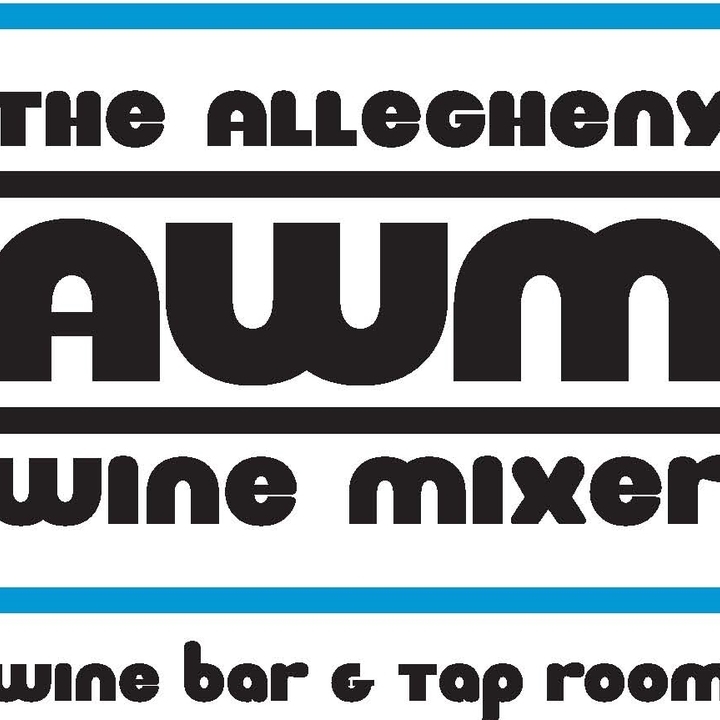 Enjoy a glass of wine (or 3) at the ever-incredible Allegheny Wine Mixer in Upper Lawrenceville! 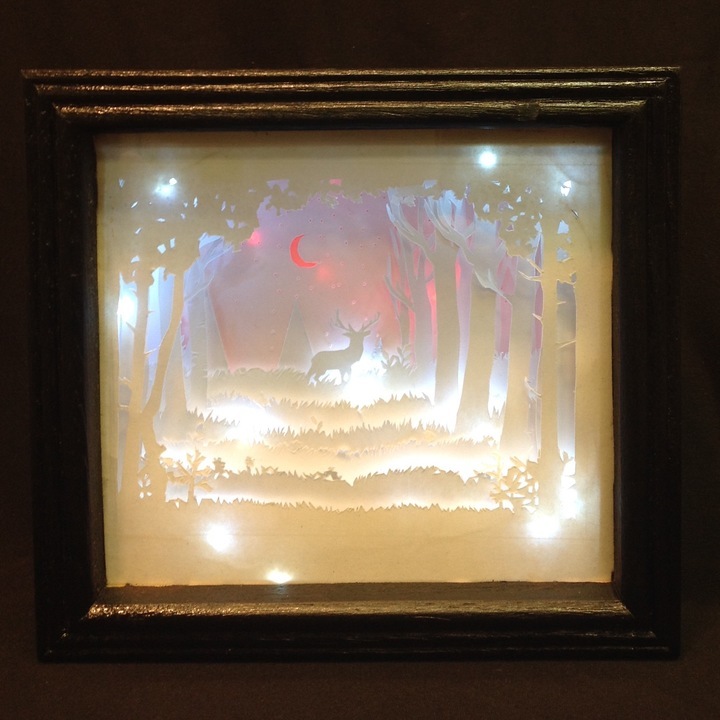 This papercut shadow and light box was made by local artist, Mary Ann Van Develde. It is super cute and it lights up! Mary Ann incorporates reuse into much of her work resulting in much beauty! Sip a latte at Delanie's Coffee, savor a burrito at Steel Cactus, sample craft beers at Local, and so much more! Gift certificate amount is $40. 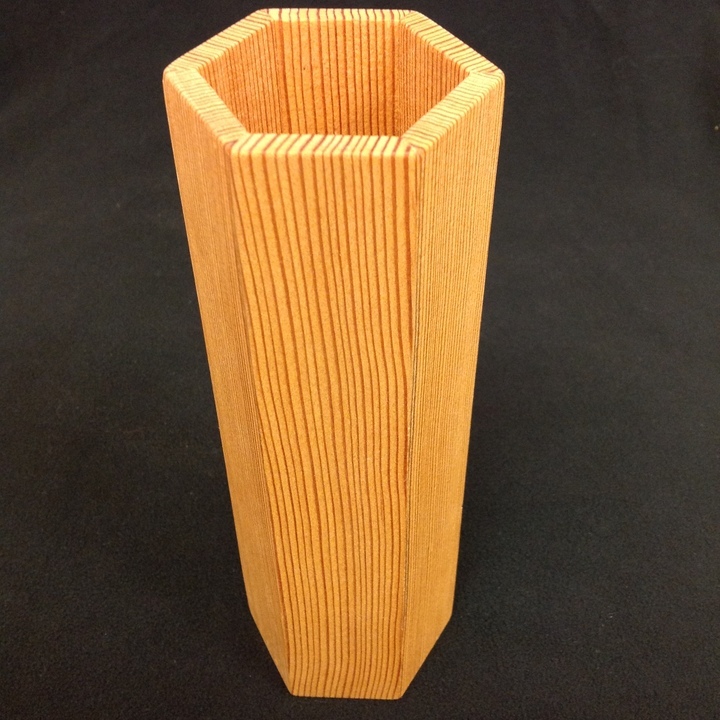 Own an incredible wooden vase (for dry items only!) by the local PIttsburgh woodworker, Bones and All. 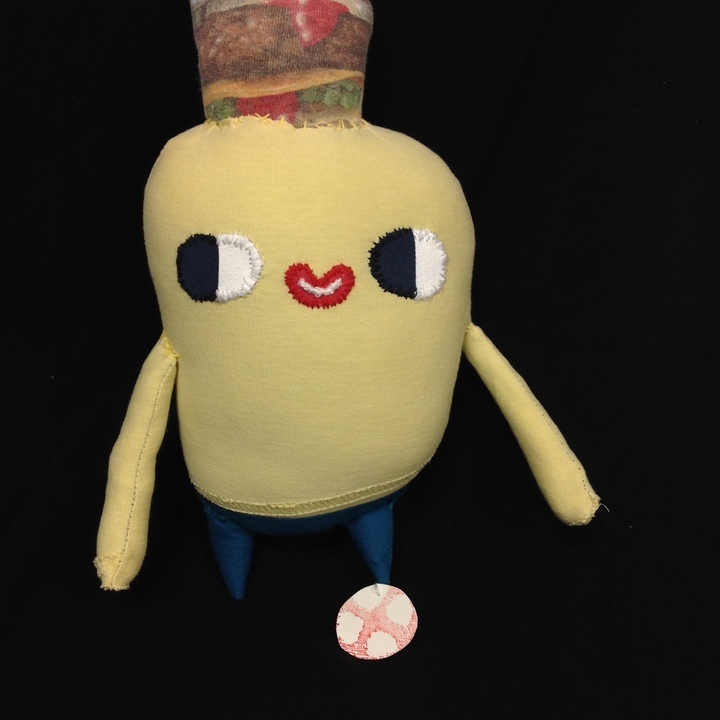 Brought to life by artist, Daniel Baxter, “Burger Head” will be a good friend to the lucky recipient of this perk. All of Daniel’s dolls are made from reclaimed materials. 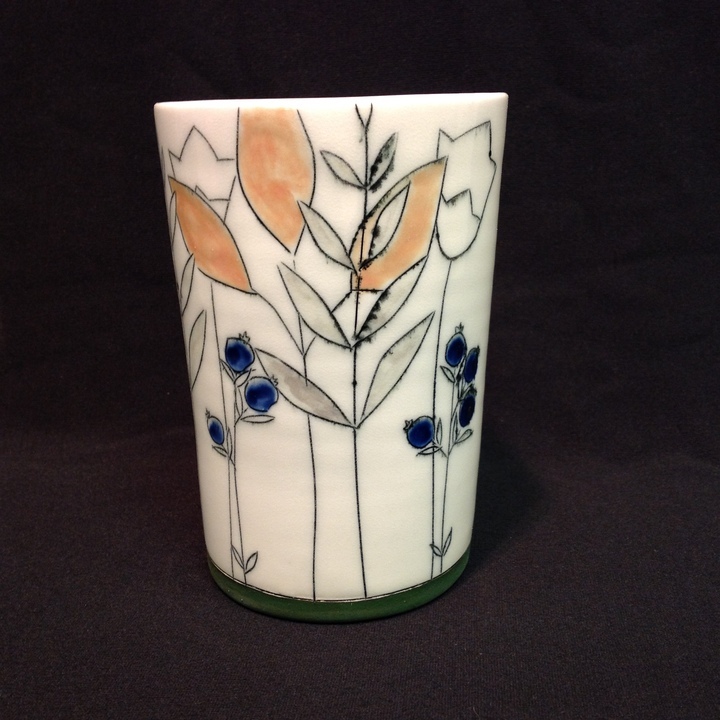 This porcelain tumbler was hand thrown, carved, and painted. 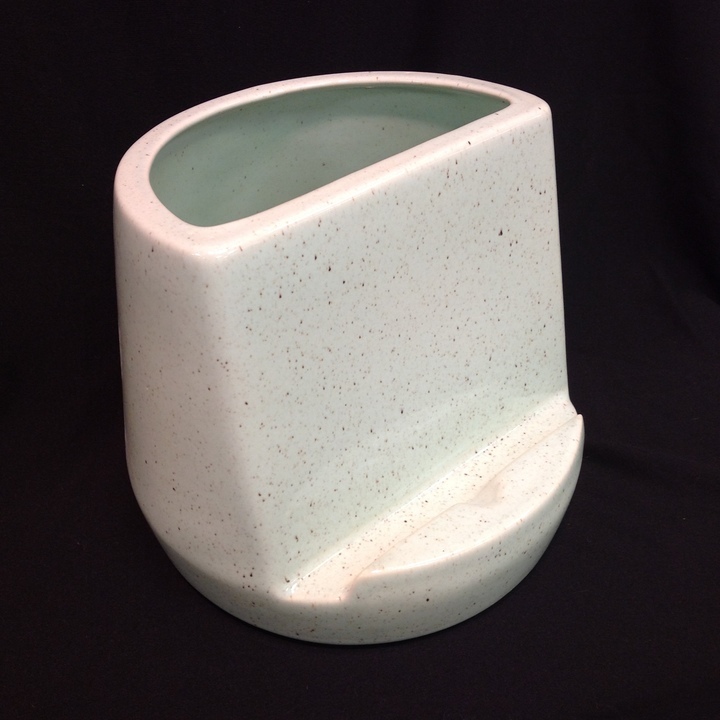 It is a perfect piece to use for a water glass, cocktail cup, or small vase. Jenna’s work is made in her Sharpsburg studio. 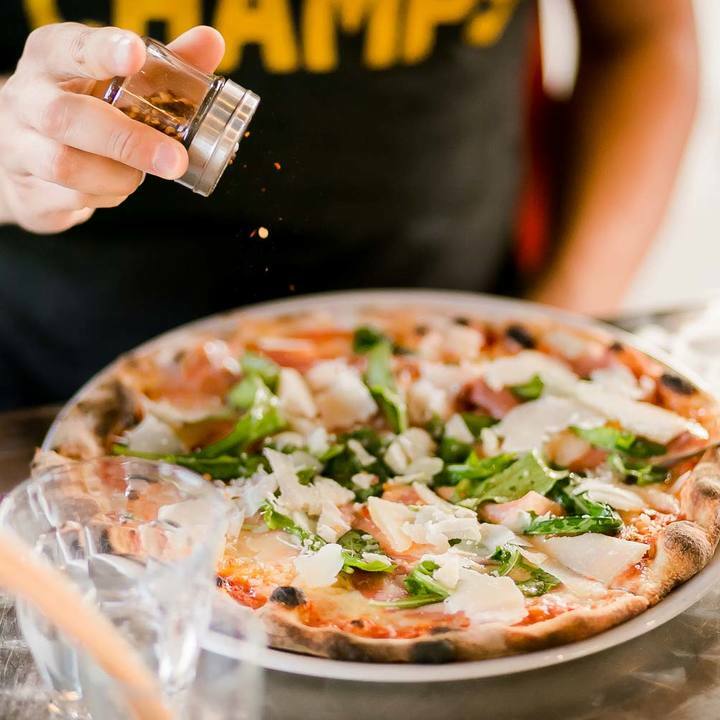 Enjoy $50 of delicious gourmet pizzas, specialty soups, appetizers, and salads at Dinette in East Liberty. We recommend the shishito peppers and goat cheese plate! Enjoy $50 worth of lunch or dinner at this cozy cafe in Point Breeze. 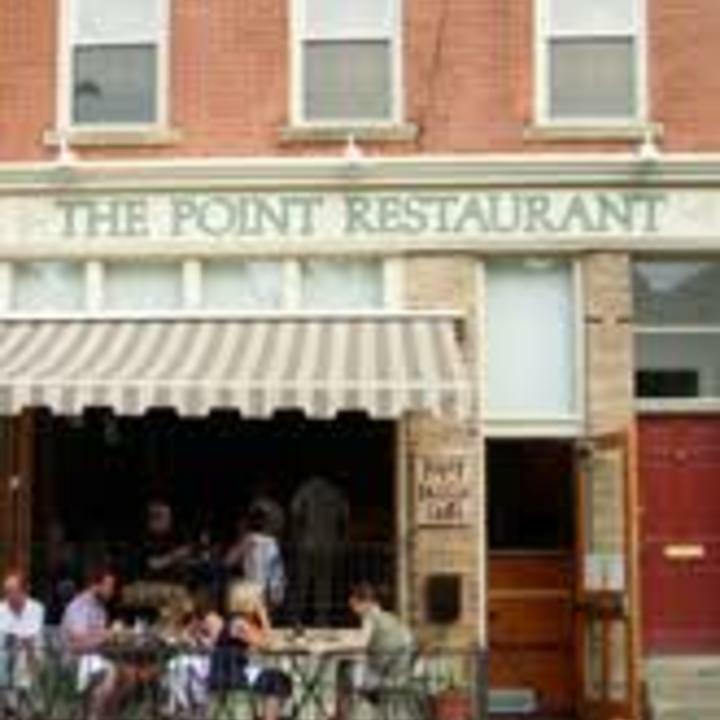 For 12 years, it’s been the neighborhood’s favorite spot, offering an extensive drink menu and innovative cuisine. Sunday brunch is fantastic! This jewelry set – titled “Stacked” – is inspired by the jagged lines of energized sketching sessions as an integral part of the creative process. Made of a combination of salvaged sequins from Creative Reuse and new sequins, these pieces add a subtle bling to any outfit, and a new use for the materials of dance recitals of yore. 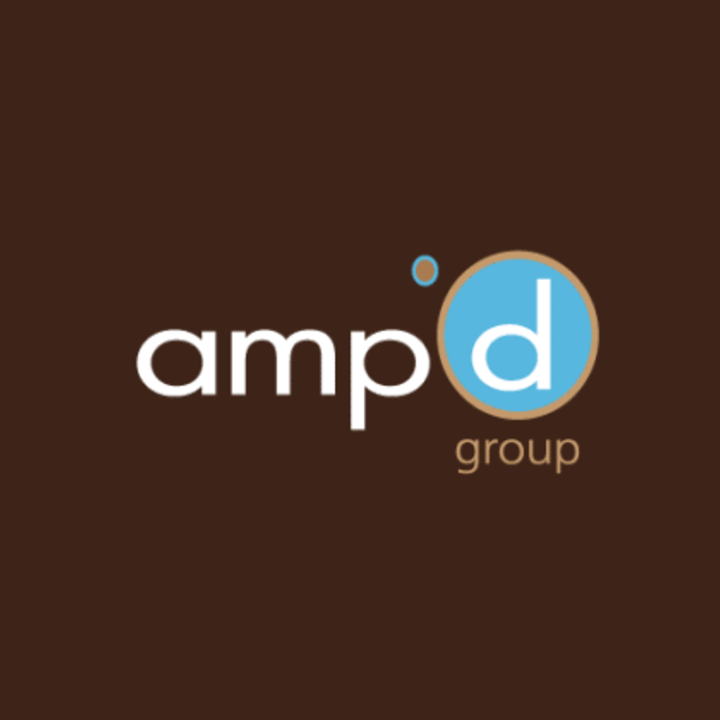 Camp Copeland Studio (c.2015) is the collaborative creative lab and production studio of Drew and Alyssa Kail. They make contemporary home goods and personal accessories, primarily in glass and wool, though they love to experiment with new designs and play with new materials. 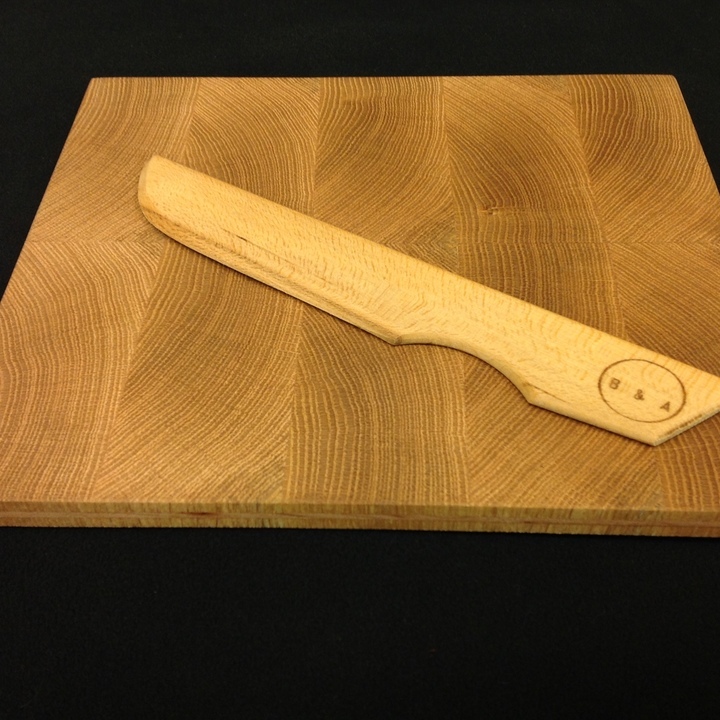 Inspired by mid-century modern aesthetics with a modern twist and a good pop of color, all of their pieces are handcrafted to the highest quality standard at their shop in Braddock, PA.
You'll be the talk of the town with this hyper-elegant wooden knife and cutting board set. Handcrafted right here in Pittsburgh, PA! The Kitchen Tablet Dock is made from a durable white stoneware clay body and is finished in a gloss white glaze. Keep your kitchen tools handy and your tablet on safe display while working on a recipe! 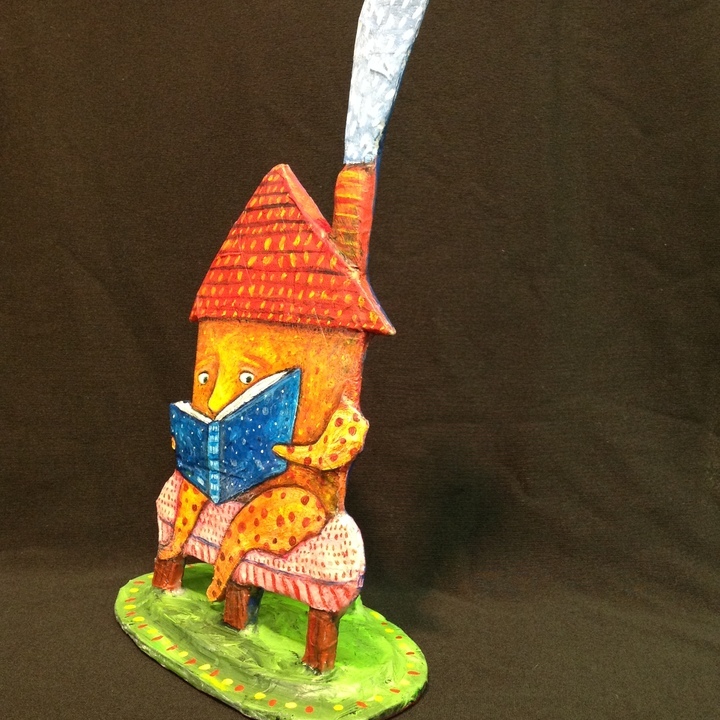 Jeff Brunner of Hey Beast Studio has created a sculpture of something we’ve never seen before...a house reading a book! It is too adorable to pass up. This paper sculpture is one of a kind. 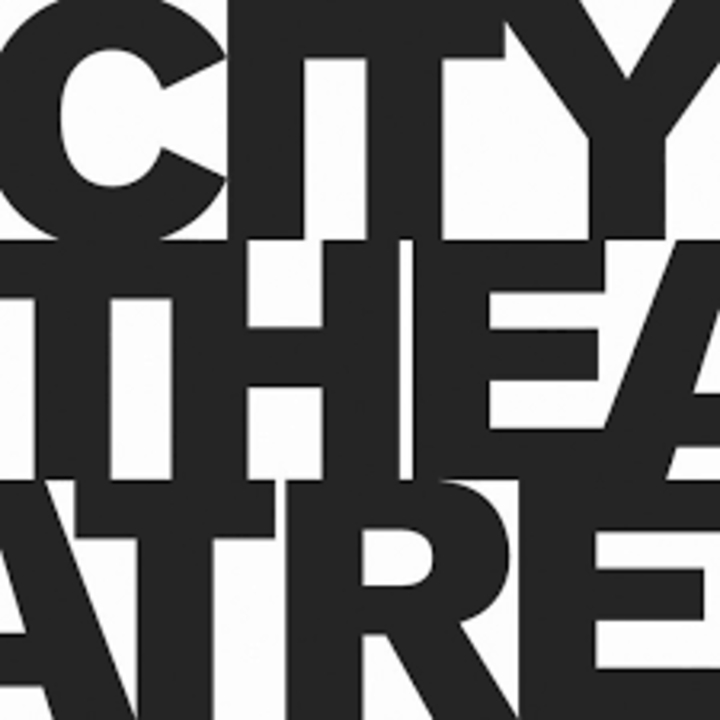 You and a friend can catch any show from the 2017-18 season at City Theatre on the South Side. 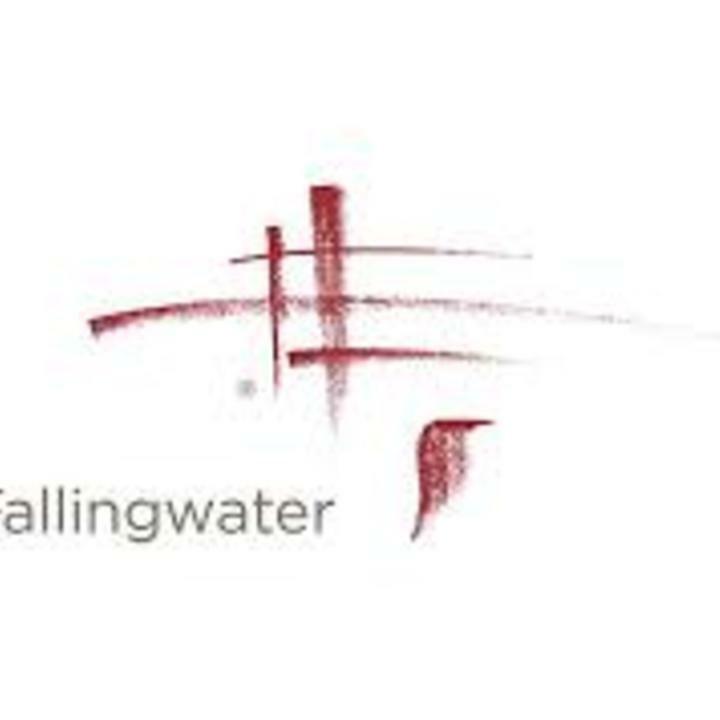 Enjoy a tour for two at Western PA's famous Fallingwater, a house designed by architect Frank Lloyd Wright. Remember your visit in stunning photographs in a special Keepsake Book, highlighting all the special features and sights of the house. We believe in a future of happy, creative, inspired people who choose to reuse because they know it’s better for their environment, their community, and their own life. Together we can realize this vision - contribute today!